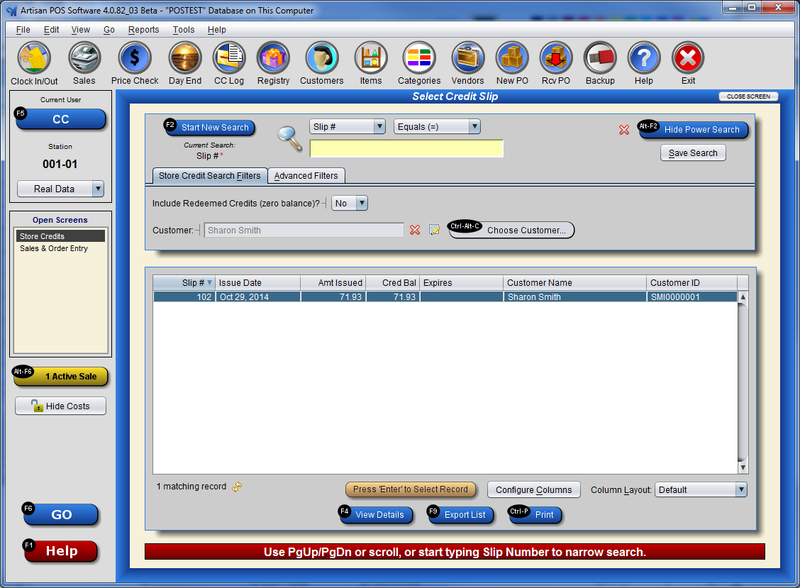 If you enter the Customer Name into the Cash Register at the beginning of the transaction you will notice the Store Credit in the Open Activity area in the upper part of the screen. Notice the prefix to the Reference # is CRD this is because it’s a credit. DO NOT recall the transaction where the store credit was originally issued. Enter the items the customer is purchasing into the Cash Register screen as you normally do. When you Finalize the sale select Store Credit as the Payment Type, if you already have the customer name entered on the sale that customer’s store credits will show in the list of available credits. Highlight the credit you want to use and press Enter to select. 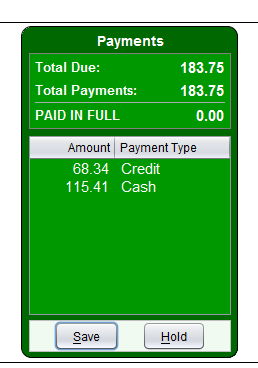 As the Store Credit is less than what the customer owes you will need to enter an additional payment on this transaction. What happens if the item the customer is purchasing is less than the value of the Store Credit? 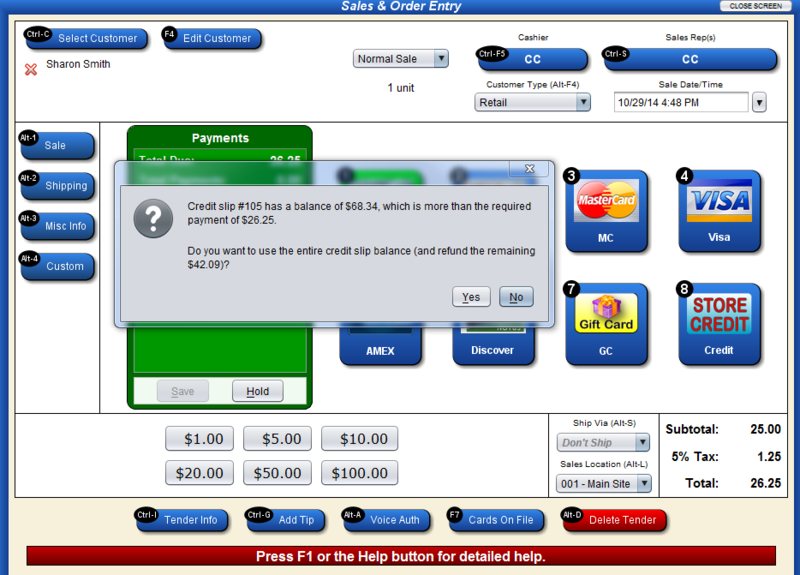 You must make sure that you do not apply the entire credit to the purchase, you will receive a prompt if this is the case. The prompt defaults to No. This means that the remaining balance will stay on the existing credit slip. 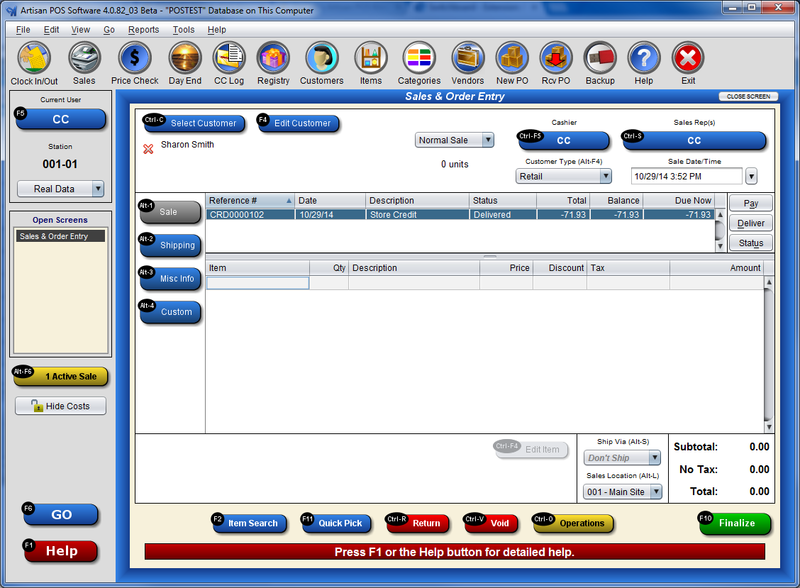 If you are refunding the balance to the customer then select Yes.